First off, I will be serving the Fusion International Choir ministry ministering with 900 teenagers in Czech Republic. 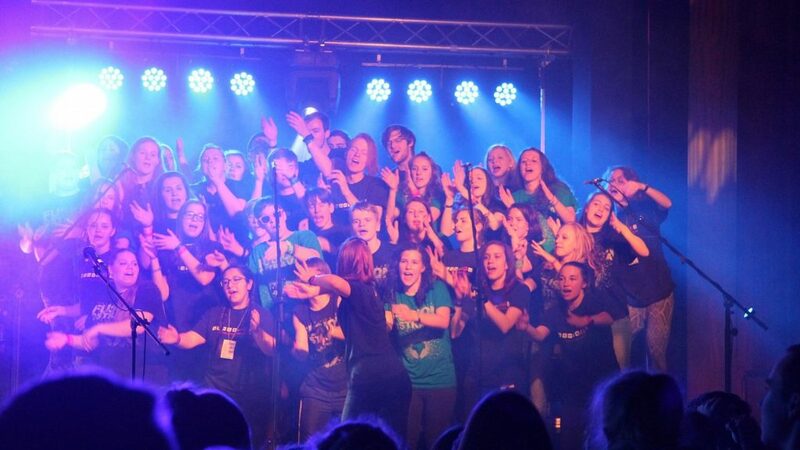 This is an evangelistic outreach of Josiah Venture that has grown to produce over 30 youth “pop-rock” choirs in 11 nations throughout Eastern Europe. Teens from all these nations will gather together at ther culminating event, a festival called Fusiondary. The theme of this year’s Festival is “INSPIRE”. My primary role will be discipleship by teaching a series of songwriting workshops, leading worship and sharing the gospel with mini-concerts. It’s a new nation and context for our ministry, and a great opportunity to encourage and mentor these next-generation leaders. 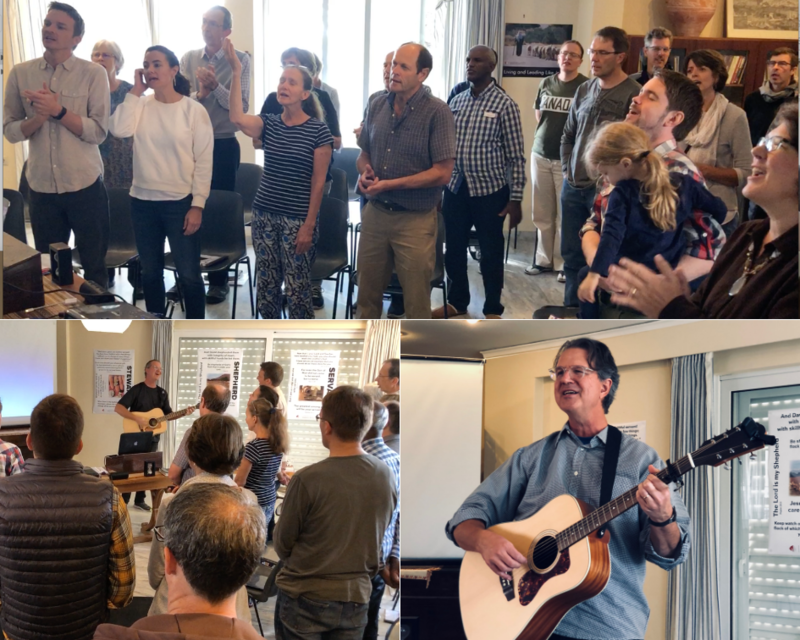 The second leg of this trip will be leading worship for the leadership development training intensive with SIM Global Leader Development event held April 28- May 7 in nearby Austria. This collage is from my first SIM Global Leadership event in Greece (2018). Rob – We truly appreciate your gifted leadership in worship. It is a great gift to our missionaries … they were truly encouraged and loved how much you varied the approach and used different styles and ideas – that was inspiring to them. We look forward to working with you again in the future! This will be my second event serving this phenomenal organization. It is a strategic connection and a great blessing to serve so many missionary leaders from different nations. Part Three, Once again, I’ll be part of the leadership team at the 5th annual Music in Worship Conference in Kiev, Ukriane, May 9-11. I proposed the theme for this year, “Be A Voice Not An Echo”. God has uniquely designed each of us individually, and every ethnic group collectively, to have a special role in His redemption story, and play a unique sound in his glorious symphony. You can see a promotional video where I describe my seminar on the MusicInWorship Facebook group here. Promotional video for the conference in Ukraine. Part Four. 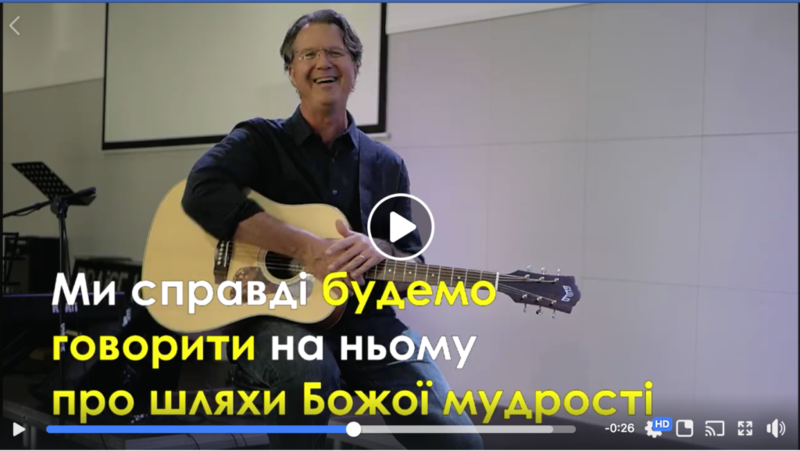 The next week after the conference, I will be a guest instructor for the music and theology classes the Ukrainian Evangelical Theological Seminary in Keiv as well as the Ukrainian Baptist Seminary in Lviv. After returning, please pray for us for a few days. Did you know we have a private Facebook Group just for our ministry missions trips? This is where I post updates, praise and prayer reports. The “real time” updates are great fun and a mutual blessing. The private videos and photo’s make it seem like you are almost there. Join our Intercessors Facebook group!